Major League Soccer announced the MLS All-Star Fan XI, Friday for the upcoming All-Star Game against Real Madrid, Aug. 2 at 5:30 p.m. at Soldier Field. The roster will consist of 24 players. The remaining players, consisting of two Commissioner picks and 11 players selected by coach Veljko Paunovic will be announced later this month. Could Galaxy defender Nathan Smith face a suspension for this tackle? Galaxy defender Nathan Smith could be hearing from the MLS Disciplinary Committee next week. Smith received a yellow card for the foul here on Benny Feilhaber. Feilhaber had to be subbed off. Does this play warrant a suspension? For the third consecutive game, the Galaxy went on the road and scored another road victory. Saturday night, thanks to a pair of goals from Giovani dos Santos the Galaxy took down in-state rivals San Jose, 4-2 in the latest edition of the Cali Clasico. The Galaxy improved to 5-5-2, now with 17 points, moving them into sixth place in the Western Conference. The victory also gave the Galaxy their fourth on the road, tying their total of road victories from last year. What’s next: The Galaxy conclude a stretch of four consecutive road games, June 3 at D.C. United. Fresh of their first victory on the East Coast since 2013, the Galaxy will look to carry that momentum into Sunday’s contest against expansion side Minnesota United. The Galaxy (3-5-2) defeated the New York Red Bulls, 3-1, Sunday, thanks to two goals from Romain Alessandrini and Giovani dos Santos’ penalty kick. 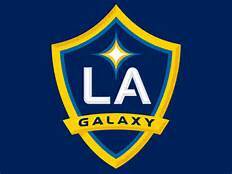 Sunday, the Galaxy is back on the road against Minnesota (3-6-2) at TCF Bank Stadium. Both teams are sitting on 11 points. Christian Ramirez leads the club with six goals. Kevin Molino has five. Minnesota lost three of their first four games, allowing a whopping 18 goals. Since then, things have stabilized a bit. Still, their propensity for allowing goals should brighten the eyes of the Galaxy attackers. Minnesota has allowed 28 goals so far this season. Brazilian and Orlando City SC midfielder Kaka is the highest paid player in Major League Soccer this year, according to information released by the MLS Players Union. KaKa is set to earn a base salary of $6.66 million with a guaranteed compensation of $7.16 million. Toronto FC’s Sebastian Giovinco is the second highest paid, earning a base of $5.6 million and guaranteed of $7.12 million. The Galaxy’s Giovani dos Santos is sixth with a guaranteed compensation of $5.5 million. **Two new expansion teams before the end of 2017. Teams 25 and 26 will begin play in MLS by the 2020 season. **Two additional expansion teams will be announced at a later date. The timeline for selecting clubs 27 and 28 will be decided later this year. From MLS: With the addition of Atlanta United and Minnesota United FC, MLS will have 22 clubs playing during the 2017 season. In addition, Los Angeles Football Club (LAFC) will join the League in 2018. Also, MLS is making progress with plans for an expansion team in Miami, which would bring MLS to 24 clubs. In December of 2015, MLS announced plans to grow to 28 teams. Targeted Allocation Money or TAM will increase to $1.2 million for each team, MLS commissioner Don Garber confirmed at a press conference in Toronto, Friday. Last year, teams were given $800,000. The increase will give teams a bit more flexib3ility on the league’s $3.6 million cap. TAM is designed to help teams attract top talent outside of the three Designated Player spots.